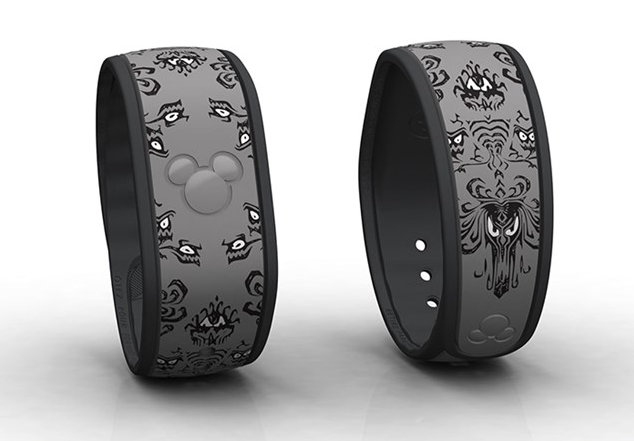 On August 22nd, 2014 the new Haunted Mansion wallpaper themed MagicBand came out at select shops within the Magic Kingdom at Walt Disney World. They are being sold for $24.95, are being sold with a special “Limited Release” sticker on the standard box, and they do not make any special sounds when touched to a FP+ touchpoint. They are limited 2 per person. You could buy them at The Main Street Emporium, The Big Top Gift Shop, Space Mountain’s Gift Shop, Main Street Emporium, Frontier Trading Post, and Mickey’s Gift Station. How “limited” these bands are is unknown. The inside of the MagicBand has “Limited Release” printed on it, but there is no number listed as with the Star Wars and Olaf bands. Haunted Mansion MagicBand in original box with “Limited Release” sticker. 14 Responses to "New limited release Haunted Mansion themed MagicBands now at the Magic Kingdom"
Those are so cool! I love the Haunted Mansion wallpaper design. Used mine for the first time using a fastpass at haunted mansion and it did light up and make different sounds. I wasn’t even paying attention cause I didn’t know they could do that. Fun magical surprise. What lights/sounds does it make at the Haunted Mansion ride? This is the first time I have heard of it doing that. They unfortunately don’t make any special sound. Haunted mansion has it’s own sound but did for my Haunted Magic band and the same sound for my families regular band. The only special thing it does is look cool. They are also going for $19.95 in the parks. Still quite a few available at the TTC! I am interested in purchasing this….Can you clarify what the “TTC” is / means? Sorry if this is a newbie question, or if the answer is super obvious (to everyone but me 😉 Thanks! TTC stands for Transportation & Ticket Center. There is a gift shop there on the right side that sells MagicBands called Mickey’s Gift Station. 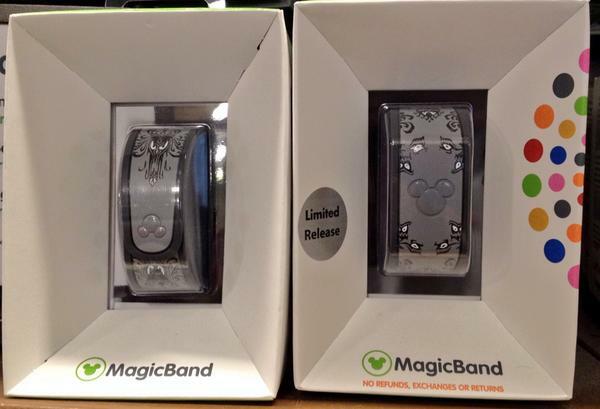 So as of 9/1/15 does the HM magic band still not do anything extra? Sights or sounds? Yeah sorry, the Cast Member must have been misinformed. I don’t think the gray one is available anymore, only the purple one.